I always love to hear the stories passed down in families about how their parents or grandparents met, fell in love and started a life together during World War II. These stories reflect the realities of the time. The country was at war. Men, from age 18 to 45, either volunteered to serve in the military or they were drafted. Young men and many young women left home either to go into the military or to go to work at a defense plant or to go into some type training, such as nursing. All across the country single men and women met and dated. Couples were separated and those already married struggled to maintain a marriage through separation. Often the wife followed her husband to wherever he was stationed. It was a time of great turmoil in our country. And I find it fascinating. A member of the extended family of the 276th Armored Field Artillery Battalion shared one of those stories with me. Morris Irving Grayson served in Battery B of the 276th while my father-in-law served in Battery A. Irving’s daughter, Teresa Williams, agreed to let me share her parents’ story on my website as a way to keep the memories of the war alive and to let younger people know what soldiers and their families went through. 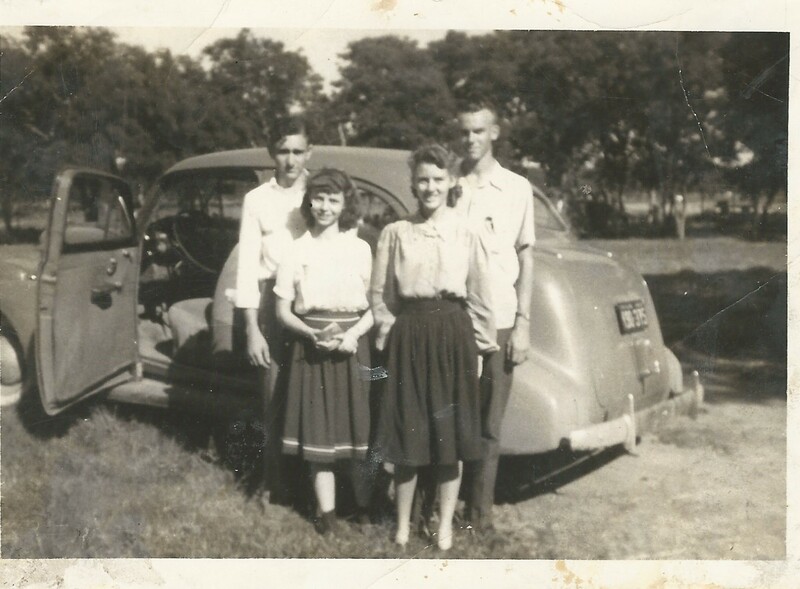 In 1941, Irving Grayson and Doris Smiley graduated from Childress High School in Childress, Texas. Although they went to the same school in the same town, they didn’t get to know each other until the next year when Doris noticed Irving at the local open air skating rink. Irving was a skilled skater and loved to show off. The two started dating. Irving planned to enter the military in 1942 but he had appendicitis. His illness delayed his enlistment until April 27, 1943, when he signed up in Lubbock, Texas. He went to Fort Sill, Oklahoma, for basic training. Before completion of the course he volunteered to become a paratrooper and was transferred to Camp Tocca, Georgia. At that time it was more prestigious to be a paratrooper and they were paid more than regular soldiers. While in paratrooper training in Georgia, Irving complained of the extreme heat, the humidity and the miles of daily marches carrying full packs. One night his sergeant came into the barracks and said, “If you don’t want to be here, we don’t want you here, there will be a bus out front tonight. Be on it.” Irving made sure he was on that bus even though he had no idea where the bus would take him. The bus took Irving to a train station and the train took him to Camp Phillips, Kansas, where he was assigned to the 276th Armored Field Artillery. The 276th was originally a typical field artillery battalion with tow-behind artillery pieces. Irving began training for the field artillery. While at Camp Phillips, Doris joined Irving bringing along their new baby. 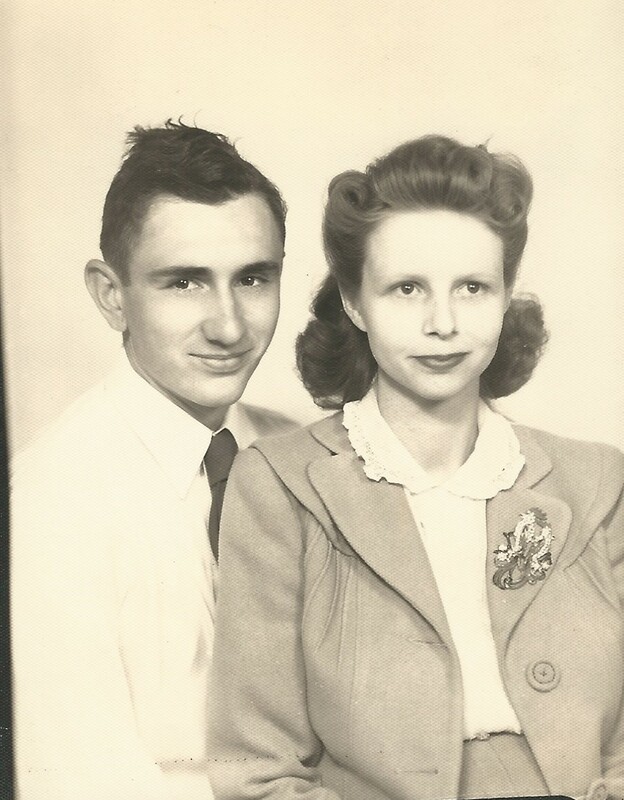 Irving and Doris were married in Salina, Kansas, December 2, 1943. Housing was scarce around these new Army training camps. Irving and Doris rented a tiny apartment in what must have been an older apartment building or converted house. Doris later told her family that she found a rat in the baby’s crib one night and after that the baby slept in the bed with her. At Camp Phillips Irving served as assistant to the supply sergeant. The sergeant left unexpectedly, probably reassigned, so Irving took over his duties. Although doing the sergeant’s job, Irving was not promoted as he thought he should have been. 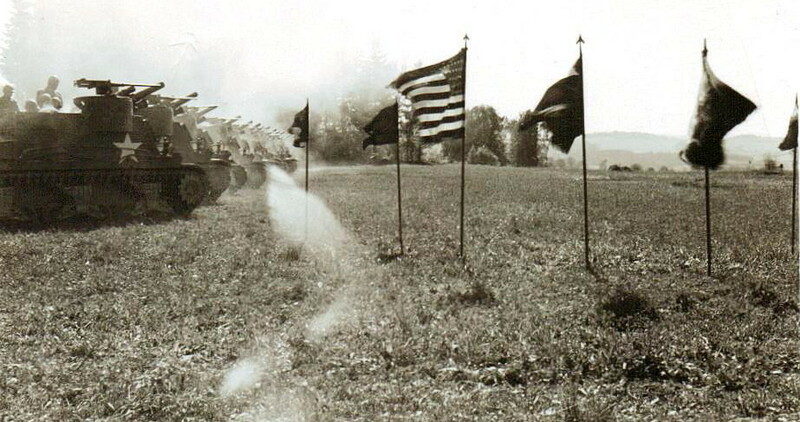 In early 1944 the 276th moved east to Tennessee for extensive maneuvers intended to simulate combat conditions. During these maneuvers, the Army decided to convert the 276th from a field artillery battalion to an “armored” field artillery battalion. 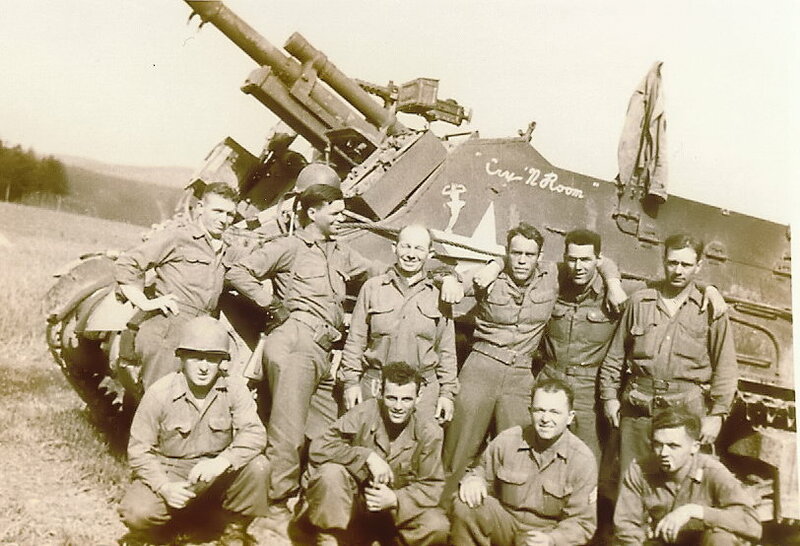 They were pulled out of the maneuvers and sent to Camp Campbell, Kentucky, where they trained on the M-7 self-propelled, track-mounted 105 mm howitzer cannon. These track-mounted guns had proved to be more maneuverable in North Africa and the Army believed they would be able to keep up with the tanks after the Allies invaded Europe. When Irving went to Tennessee, Doris and the baby went back to Childress. The couple began corresponding by letter. Doris sent him pictures of their son with notes about his progress. Irving came home on leave before he went overseas. Later Doris wrote to tell him she was expecting another child. Their second son was born while Irving was in Europe fighting the Germans. I can only imagine how difficult it was for Doris, with one baby and another on the way and her husband overseas in danger of being killed. She probably wrote cheerful letters with pictures of the babies to keep his spirits up. Adding to the difficulty for this young mother was an especially disturbing letter she received from Irving. It had been intended for an English girl he met during his brief stay in England but the letter got switched with his letter to Doris. When Doris received the wrong letter, she of course assumed the worst, that he was cheating on her, and she did not write him for some time. Irving insisted the he and the English girl were just friends and eventually the trouble was resolved. While in England, Irving became a jeep driver responsible for carrying messages between the battalion and headquarters. He also scouted for locations to set up the battery headquarters and drove damaged half-tracks and M7’s to the maintenance platoon for repairs. The 276th fought their way across France, Belgium, Luxembourg, and Germany from September, 1944, until the German surrender on May 8, 1945. As he lay in the street of a small German town, a heavy artillery shell went went over his head hitting a building in front of him and skidded along the side of the building but did not explode. Then another shell went over his head hitting the same building and again skidded along the without exploding. Irving realized you could tell where the gun firing on them might be located by the angle the shells were hitting and skidding. He crawled on his stomach a couple of blocks back to Battery B headquarters and told his commander what he had observed. The commander told a sergeant of the heavy artillery to follow Irving back to where he had seen the shells hitting the building. They crawled back and located the German gun. They crawled back to the heavy artillery and the sergeant directed his men where to fire. The German gun was hit and American lives were saved. All his commanders were congratulating Irving on what he had done, so he thought he received the bronze star for this. See the newspaper article for the account from the Bronze Star citation. The 276th AFA returned to the states in July, 1945, as part of the experienced combat troops who were redeployed for the invasion of Japan. 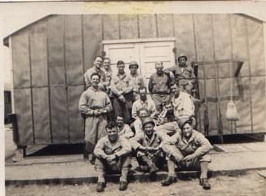 The men received leave to visit their families before reporting for additional training for the invasion. During this leave another child was conceived and that child, Teresa, was born in 1946. The war ended in August, 1945, after the atomic bombs were dropped on Japan. Irving returned to his old job in a packing plant in Childress, Texas, and a fourth child arrived in 1947. He later trained to be a machinist, probably using the GI Bill, and in 1951 the family moved to Dallas. In 1953 the couple’s fifth child made her appearance making three boys and two girls. Irving and Doris raised their five children and, after twenty-one years of marriage, they divorced. Both remarried and they remained close to their children. You might say that Irving and Doris didn’t have the “typical” WWII romance. But their experiences were typical for the time. A hasty marriage with the strains of separation, fear and anxiety. Doris didn’t know if Irving would return to her, didn’t know how long he would be gone. And Irving longed for his wife and babies. He missed the birth of his second son and the experience of seeing both sons early life. He could only write censored letters and hope his parents and hers were helping his young wife and children through this difficult time. Their love, loyalty and determination brought them through the war and the years of adjustment afterwards, like so many other couples of that time. 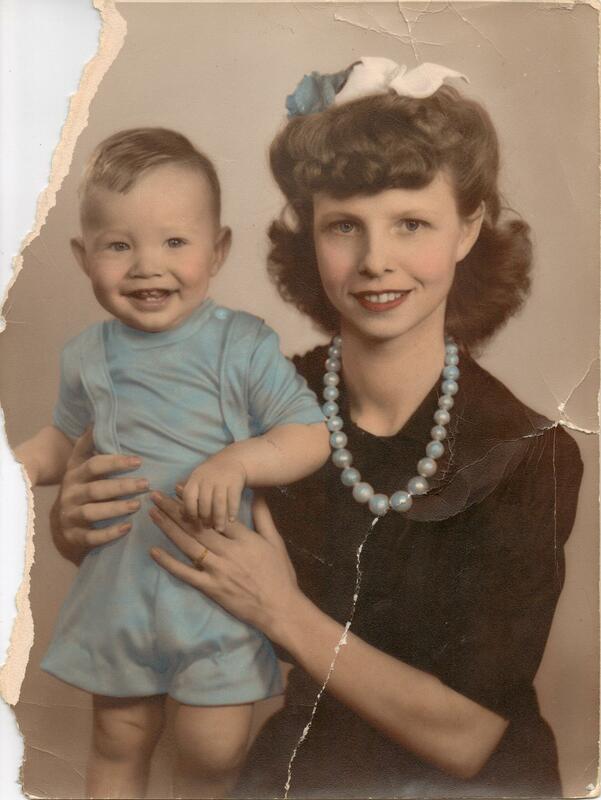 If you want to share a family story about World War II, please send it to me along with any pictures you have. I would love to hear your stories and share them here on my website. My husband and I recently traveled to Tennessee for a sad event – a family funeral. 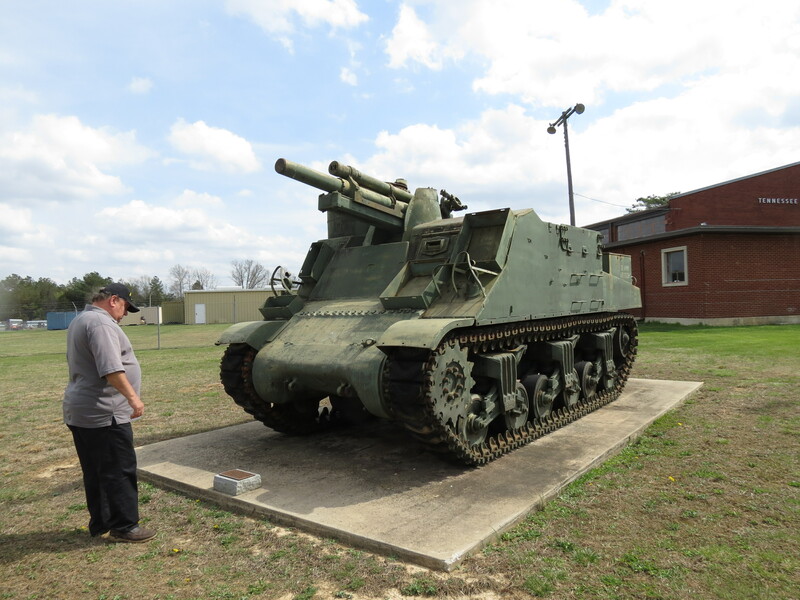 While driving through Tullahoma, we passed the Tullahoma Army National Guard Armory and out front sat an M-7 track-mounted 105 mm artillery piece like my father-in-law’s gun from WWII. Of course, we stopped and looked it over and took pictures. 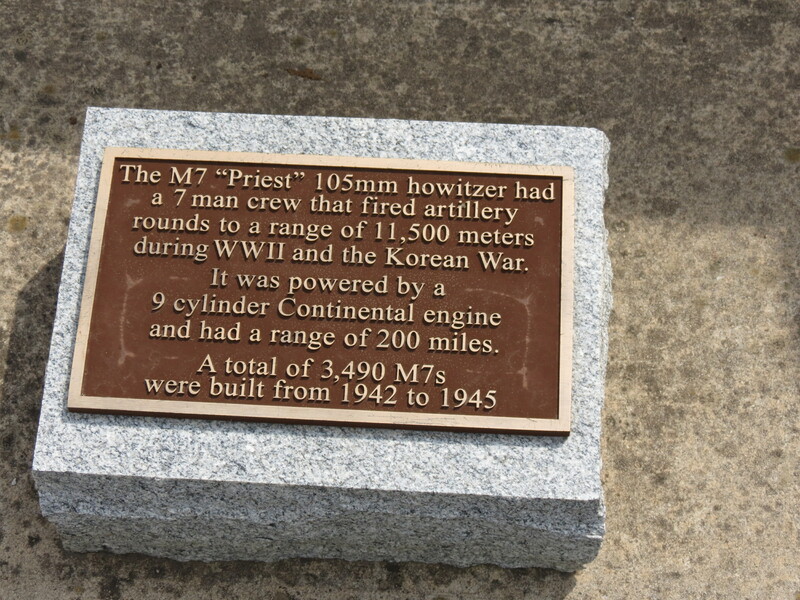 This was only the second time we have seen an M-7, also called the “Priest,” in person and needless-to-say we were excited. We never imagined seeing my father-in-law’s gun so close to home. We quickly spread the word among the family members so that they too could share the experience. 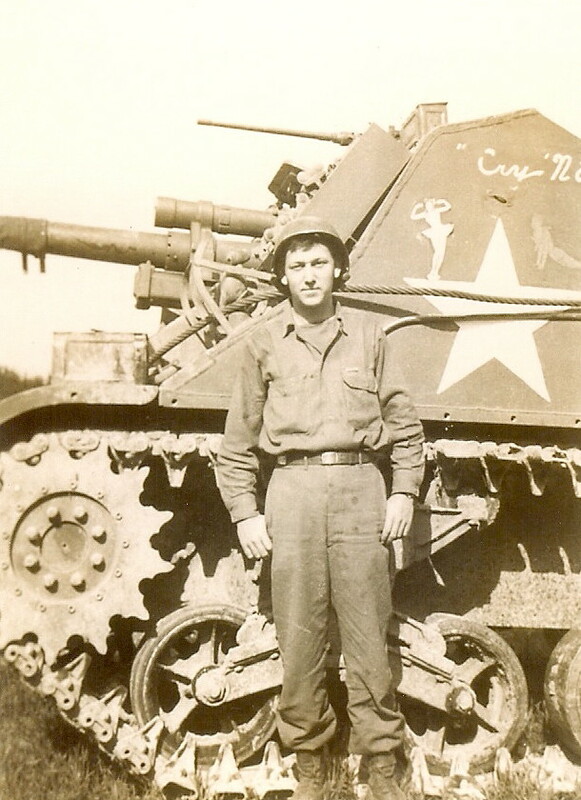 My father-in-law, Paul Whitaker, trained on the M-7 at Fort Campbell, Kentucky, then shipped out to Europe where he was in combat from July 1944 until the end of the war in Europe in May 1945. Finding the gun in Tullahoma was ironic because in early 1944 my father-in-law’s outfit was taking part in the “Tennessee Maneuvers” in the Tullahoma/Coffee County area near Camp Forrest, Tennessee. They were pulled out of the maneuvers and sent to Fort Campbell where they were converted from a standard field artillery battalion to a mobile field artillery battalion. As part of the 276th Armored Field Artillery Battalion my father-in-law fought his way across Europe for the most part under the command of Patton’s Third Army. 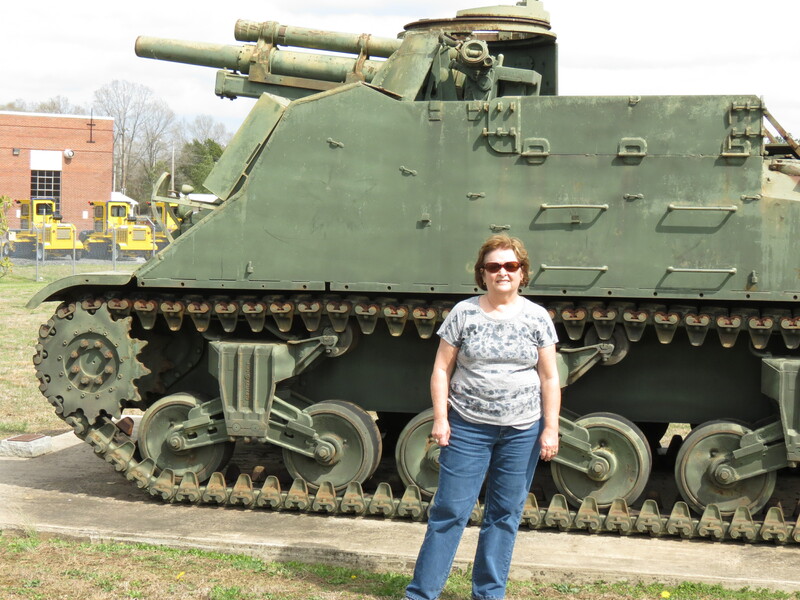 The M-7 is in front of the “old” Army National Guard Armory in Tullahoma. 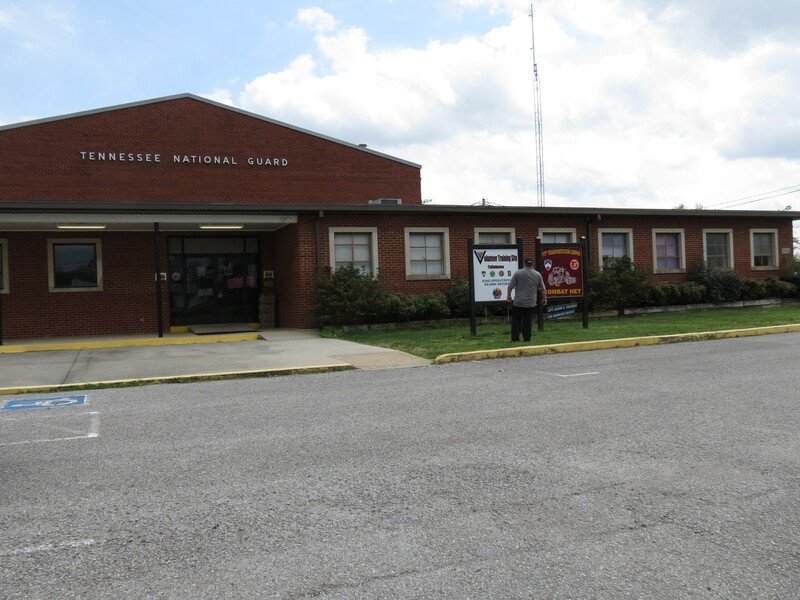 This facility is utilized by the 1176th Transportation Company of the Tennessee National Guard. Nearby stands the brand-new Tullahoma Readiness Center dedicated in August 2012. This new facility houses the 30th Troop Command of the Tennessee Army National Guard, the latest generation of the “Old Hickory” legacy, descendants of the WWII era 30th Infantry Division. Several years ago we saw an M-7 at a VFW near Flint, Michigan. We were visiting my sister and brother-in-law when he told us about seeing the gun at the VFW. He wasn’t sure if the gun was the same as my father-in-law’s gun so he took us out to see it. That time my husband climbed up on top just to get a feel for what it was like up there. He didn’t attempt to climb aboard the one in Tullahoma. I’m afraid we’ve gotten too old for such adventures. Never-the-less we were both thrilled to see the gun. 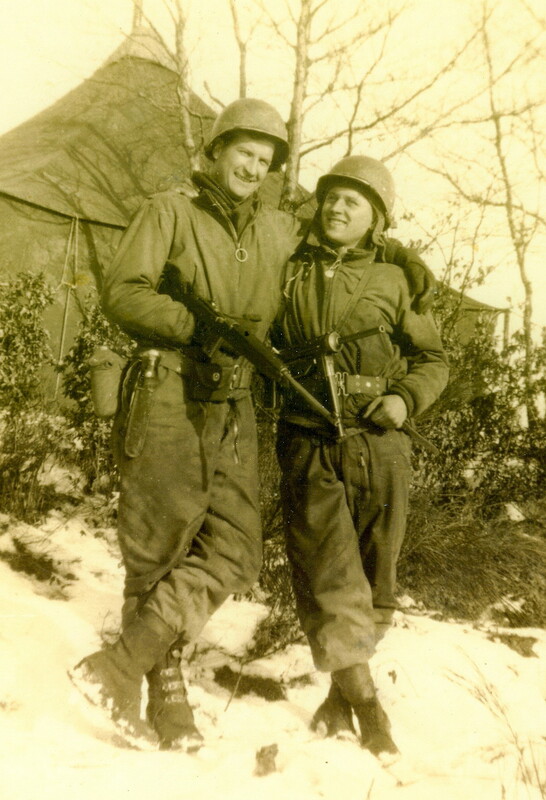 When we last left our hero’s of the 276th Armored Field Artillery Battalion, it was February, 1945, and they had just crossed into Germany from Luxembourg. I’m a map person. Several years ago I purchased a coffee-table book “US Army Atlas of the European Theater in World War II.” Researching this post I scoured the maps for locations mentioned in the 276th Battalion history and that exercise put some of the distances in perspective. In a straight line from Bastogne, Luxembourg, to Bitburg, Germany, it’s about 30 miles through hilly, heavily wooded terrain with crooked, narrow roads. The defenses of the Siegfried line ran along the German border between the two points. Bitter cold winter weather hindered progress as the Germans retreated behind their “west wall” line of defense. Can you imagine life for the men? Living outdoors, eating when they could, following orders, doing their jobs, fearing the next attack and struggling to survive. The 276th was a few miles southeast of Bastogne at the beginning of January. They did not reach Bitburg until Feb. 28, 1945. Eight long weeks. 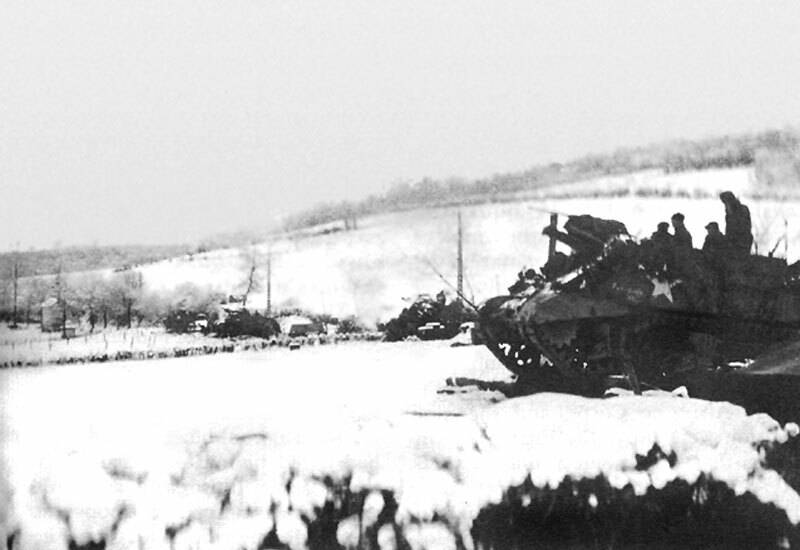 From the southern shoulder of the “bulge” in the line, due to the German counter-offensive later known as the Battle of the Bulge, the 276th moved toward the northeast in support of the 80th Infantry Division. On Feb. 7, 1945, the Battalion fired 1,702 rounds in preparation for the 80th attack across the Our River into Germany and against the Siegfried Line. The 276th fired a total of 2,610 rounds that day, more than 325 rounds per gun. After that firing continued at a rate of approximately 1,000 rounds per day as they continued to pound the German fortifications. On Feb. 19-20 the 276th again fired heavily in preparation for another attack by the 80th Division. This time the 276th AFA Battalion crossed the Sauer river into Germany near Cruchten. During these attacks the 276th for the first time fired a mixture of rounds that consisted of 40% fuze delay, 50% fuze quick and 10% white phosphorus, a chemical that burned through anything and could not be extinguished with water. The combination proved effective against enemy troops and would be used again. In early March they moved rapidly northward to Koblenz on the Rhine. My father-in-law told of sitting on high ground overlooking the Rhine river and seeing the Ludendorff Bridge at Remagen, north of Koblenz. Although not mentioned in the history, he remembered seeing the bridge and firing across the river to protect the crossing troops. Since it was the only bridge left intact across the Rhine, it had to be the bridge at Remagen. For years he had a print of the bridge hanging in his room. His buddy in the 276th told a funny story on him years later. While near the Rhine, a young man, drunk on liberated cognac, sat astride the gun barrel when German artillery began firing rockets on their position. He couldn’t get down so he rode out the barrage on the tube. Shells landed so close that the water cans hanging on the gun were shot off, but he didn’t get a scratch. According to my husband, his father didn’t want the story told and tried his best to stop his buddy from telling it in front of his sons. At Koblenz the north-east flowing Moselle joins the Rhine. On March 15 the 276th crossed the Moselle with elements of the 4th Armored Division. They continued toward the south-east against stubborn resistance from rear-guard troops and defiant towns. 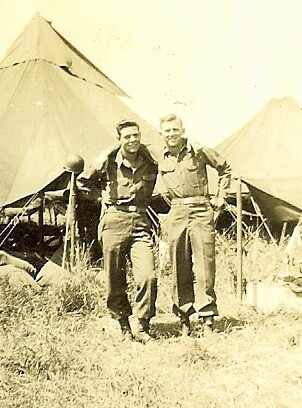 Although the men rarely knew what was going on overall in the war, they knew moving forward meant they were winning and that was always good news. 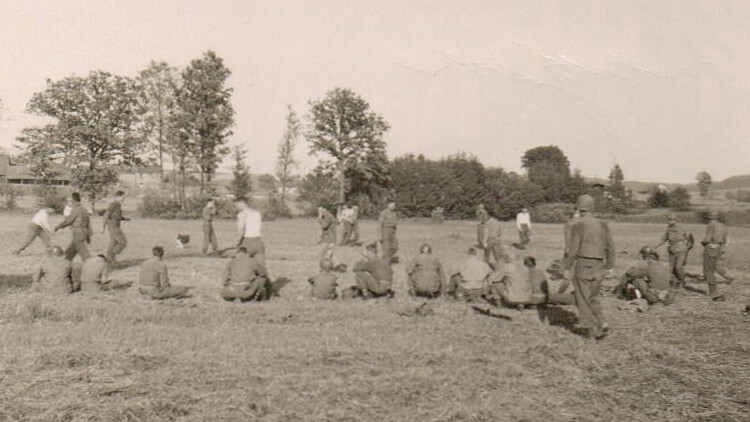 While the 4th Armored Division diverted south to take Worms, the 276th remained at Oppenheim to support a bridgehead operation by the 5th Division. They crossed the Rhine on a pontoon bridge above Oppenheim on March 24, then reverted back to supporting the 4th Armored Division on their swift advance east to encircle the city of Frankfort. Within days they advanced across northern Bavaria, heading northeast. On April 3 they ended a long road march near the city of Gotha with enemy aircraft and artillery firing on their advance. After an ultimatum Gotha surrendered the next day and the 276th moved south on the road to Ohrdruf. 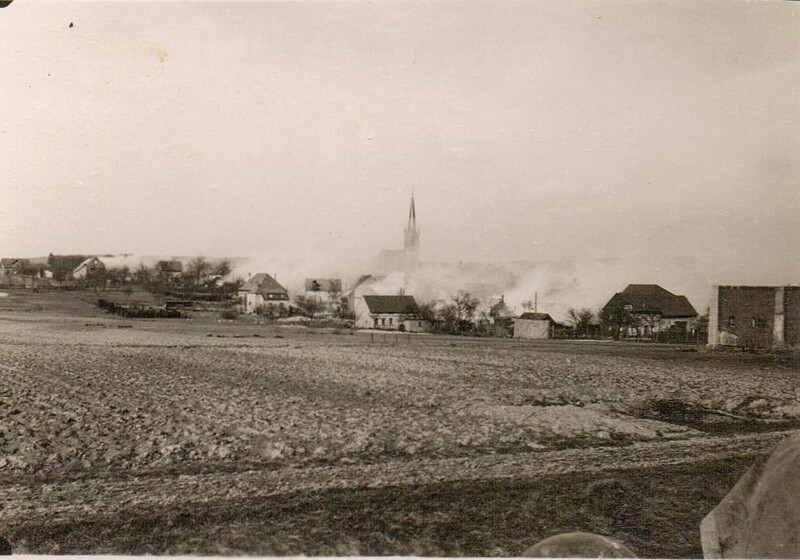 On April 5th the battalion fired on the city of Ohrdruf against stubborn resistance by the Germans. When the enemy surrendered, the Americans learned why they defended it so stubbornly. Ohrdruf was a sub-camp of Buchenwald – the concentration camp and ‘death factory’ – and the first such camp discovered by the Americans. Although my father-in-law never spoke of it directly, Patton visited the camp and ordered that as many of his men as possible tour the camp as witnesses to the atrocities committed there. More than likely the men of the 276th saw the camp at Ohrdruf and, possibly Buchenwald, since they were in the area when it was discovered. The only time I ever heard my father-in-law say anything about the concentration camps was in the 1990’s when a TV program mentioned that there were people claiming the holocaust never happened. He adamantly insisted that it did happen, but he would say no more. Reassigned to the 11th Armored Division, the 276th drove southeast from near Suhl to near Kulmbach by April 12, battling not only Germans but also heavy rains. As part of Task Force Hearn another road march began near Grafenwohr, “site of the largest barracks and training area in central Germany,” and within a week they traveled 150 miles to Grafenau. Their objective was Linz, Austria on the Danube. The German army offered little resistance during this advance. But, on April 30, the enemy made a stand at Wegscheld. After an all day assault, including heavy fire from the 276th, the 11th Armored Division occupied the demolished town. The battalion fired approximately 1,600 rounds that day, including a 90 round white phosphorous concentration. May 1st the 276 crossed into Austria with the 11th. On May 2, the 276th received orders to return to supporting the 4th Armored Division near Lalling, Germany. They marched back to the northwest, then on May 3 moved to a ‘rest’ bivouac area near Saldenberg for three days. On the 5th they joined the 4th Armored Division moving east and north into Czechoslovakia toward the city of Strakonice. The Czech’s lined the roads welcoming their liberators. They were still moving toward Prague when they received word that the German armed forces had surrendered. The war in Europe was over. Surrendering German troops streamed through the battalion’s camp toward designated assembly areas. On May 10 the 276th motored to Bogen, Germany, where they became part of the military government and oversaw the flow of prisoners into fenced areas for processing to prisoner of war camps. The joy and relief of victory in Europe was short-lived for the 276th. 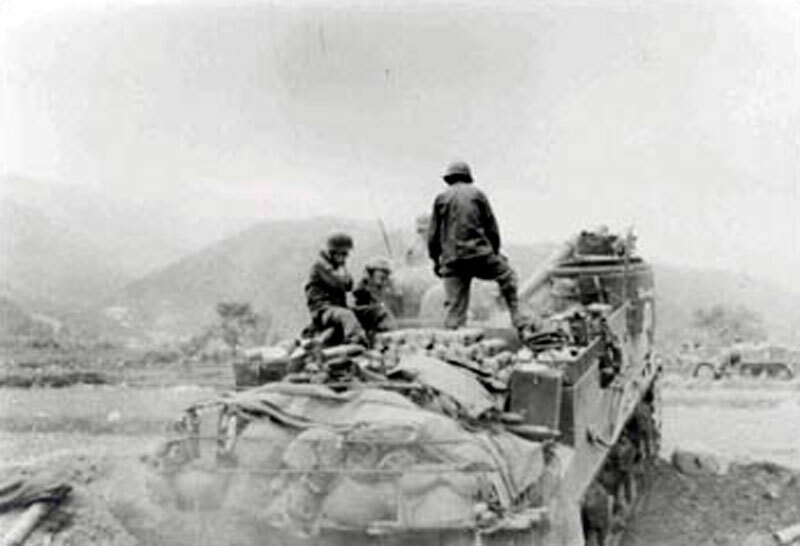 On May 13 they learned they would be deployed within 30 days to the Pacific Theater, traveling through the United States. On May 16 they participated in a ‘ceremony shoot’ for a group of Russian generals. On June 2 they received orders to move out. The heavy vehicle column traveled across Germany and France by train while the light motor column traveled by road meeting up at Camp Lucky Strike, near Le Havre, France. Here, due to the points system for discharge, members of the battalion with more than 85 points were transferred to the 341st FA Battalion of the 89th Infantry for transport home and discharge. The remainder of the 276th embarked for the US from Le Havre, France, on July 2, 1945. It was one year to the day from their departure from New York. By July 11 all had departed Camp Shanks, NY, for home on furloughs. Thankfully, by the time they were to reassemble for redeployment training, the Japanese had surrendered and the war was over. Due to the interest generated by my post about the M7 Priest, I decided to write about my father-in-law’s unit and their experiences during the war. The 276th Armored Field Artillery Battalion was in the European Theatre of Operation combat zone for 241 days, from September 1944 until the Germans surrendered in May 1945. They fought in the Battle of Northern France, the Battle of the Rhineland, the Battle of the Bulge, and the Battle for Central Europe. From the first round fired at Andelot, France, (near Nancy) they moved across Europe to near Strakonice, Czechoslovakia, at the war’s end. The battalion’s eighteen guns fired approximately 90,000 rounds in combat and provided support to whoever needed their guns. 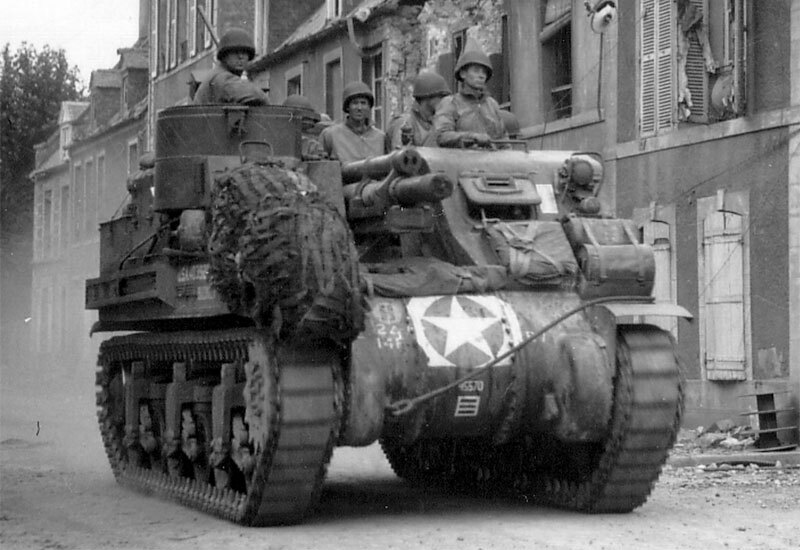 Thus they supported numerous groups including the French Second Armored Division, the Third Army, the 80th Infantry Division, the 6th Armored Division, the 12th Armored Division, the 9th Armored Division, the 4th Armored Division, the 90th Infantry Division, the 5th Infantry Division, the 26th Infantry Division, and the 11th Armored Division. The 276th started out in Kansas where they trained as a field artillery battalion. While on maneuvers in Tennessee orders came to reorganize the battalion into an armored field artillery battalion. 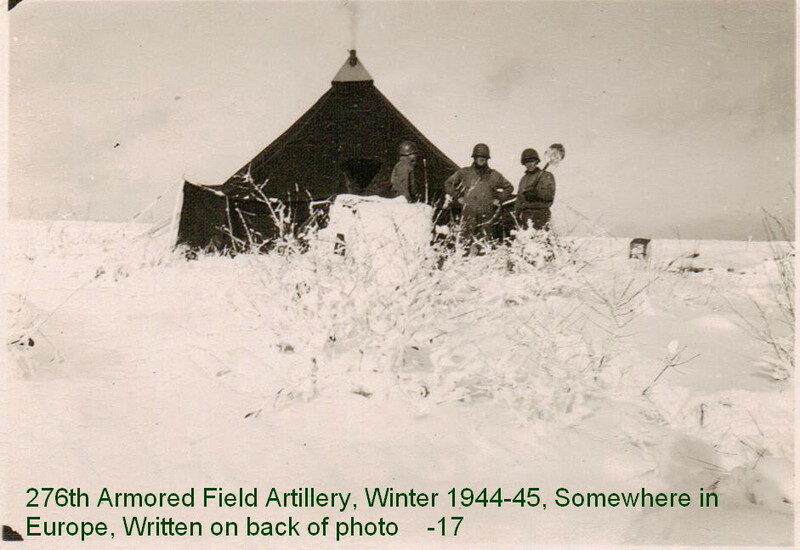 In January, 1944, they reported to Camp Campbell, Ky., for retraining on M7 track-mounted 105 howitzers. On June 23 they left for Camp Shanks, New York, where they boarded the SS John Ericsson, set sail on July 1, 1944, and crossed the Atlantic to England. After arriving at Liverpool, they proceeded by train to Lianmartin, Monmouthshire, South Wales, for a thirty-day readying period. On August 20th the battalion moved to Weymouth, on the south coast, and loaded on LST’s to cross the channel. After landing on Utah Beach in Normandy, the 276th began the motor march across France. By September 10 they reached Joinville, in eastern France near Nancy, where they were assigned to the French Second Armored Division. Here they fired their first combat rounds in the war. Over the next few days the 276th crossed the Moselle and Meurthe rivers still in support of the French. During September and into October the account of engagements and movements reads like a tour guide of villages in Lorraine. Members of the battalion were killed, wounded and a few were captured. During a short rest the men stayed in French villages where the citizens welcomed them as liberators. From late October through mid-November, the 276th supported the 6th Armored Division defending Landroff from a strong enemy counter-attack. Steady rain in November caused muddy roads, traffic jams, hampered operations and generally made life miserable for the men. On December 5 they fired into Germany for the first time. In early December orders came transferring 10% of the enlisted men, or 48 men, to the infantry. Assigned to support the 80th Infantry Division, the 276th continued to fight along the German border. But on December 20th orders changed. As part of Patton’s Third Army, the 276th journeyed from near Bettviller in easternmost France to the City of Luxembourg in four days, enduring snow, extreme cold, and icy, mountainous roads. This was the famous march in the dead of winter that Third Army made to relieve the US troops surrounded at Bastogne. In Luxembourg the 276th moved further north to engage the enemy along the southern shoulder of the bulge where they spent Christmas of 1944. During this time the weather was extremely cold. They were not allowed to build fires and they had no hot food. My father-in-law said that one night he fell asleep under the gun and when awakened by gunfire he was numb and stiff. Had he not awakened, he would have frozen to death, as many did that winter. In the movie “Patton” there is a scene where General George S. Patton ordered a chaplain to write a prayer for good weather so that they could attack. This actually happened. The successful results of this prayer impressed Patton so much that he had a copy of it sent to all the men in Third Army. My father-in-law sent it to his mother who gave it to my husband. The prayer is printed on both front and back of a small, thin piece of paper about the size of a baseball card. In January the 276th still supported the 80th Infantry Division as they fought northward helping the 319th Inf. Regiment repel a strong counter-thrust near Nocher. The battle remained near Heiderscheid until Jan. 18. when the battalion supported attacks on Dahl and Kaulenbach, Luxembourg. By the end of January the Allies had crushed German offensive and had pushed back the battle lines to roughly where they had been in early December. In February the battalion hammered the Siegfried Line along the Luxembourg-German border. They established liaison with the 4th Armored Division protecting the flanks of the 80th. Targets for the thousands of rounds fired included German defensive positions with nebelwerfers (rockets called screaming meme’s), mortars, tanks, pill boxes, snipers, infantry, vehicles and gun batteries. They crossed the Sauer river near Cruchten into Germany on February 20. Five days later the 276th received orders transferring them to support of the 4th Armored Division and continued to move further into German territory. In Part 2 I will continue to recount the experiences of the 276th in the last months of the war in Europe. Thanks to Teresa Williams for allowing me to use her father’s photos. Her father is Morris I. Grayson, Battery “B”, 276th Armored Field Artillery Battalion. Details were taken from the history of the 276th Armored Field Artillery Battalion compiled by Sgt. Bruce B. Palmer. To the average person, this vehicle looks like a tank, but it’s not. It’s an artillery piece. One key difference is the main gun, a 105 mm Howitzer. Compare this to a 75 mm gun on a Sherman tank. Also on the M7 the crew is riding on top of the vehicle in the open unlike a tank crew tucked away safely inside the tank. So the men on the M7 had no armor plating protecting them in combat. But the track gave this gun the mobility to advance alongside tanks and infantry into the thick of battle. The former soldier rarely relayed stories about the war. When he did, he told of experiences during the Battle of the Bulge, Remagen Bridge and the invasion of Germany as part of Patton’s Third Army. GI’s on the front didn’t know the big picture. He said that as long as they were moving, they figured things were going good. Reading the history of the 276th AFA BN put their role in the war in perspective. I learned that these artillery pieces were assigned to whatever front or division needed their support. So, like other artillery units, the 276th was not included in the combat records of any particular division, which makes research for specific details much more difficult. Fortunately we have a copy of the official account printed immediately after the war and given to each soldier in the unit. 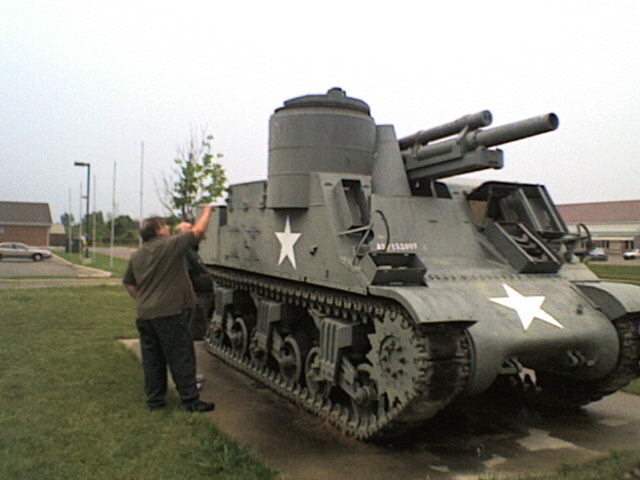 Last summer while visiting relatives in Michigan, my brother-in-law took us to a VFW outside Flint where an M7 Priest is on display. For the first time my husband saw, in person, a gun like his father’s. 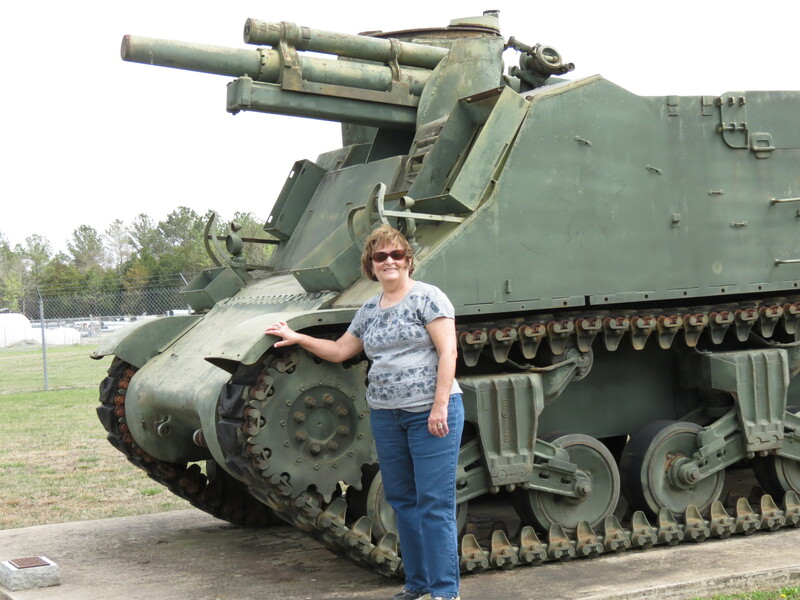 Having served in an armored unit himself, my husband has been around many tanks, but seeing and touching this vehicle thrilled him. He even climbed up on top in the rain to gain perspective on his Dad’s experience riding atop the powerful gun. That day we both made a connection to his Dad and his experiences during the war, experiences that changed a 19-year-old forever. If you are interested in the history of action aboard the M7 during the second world war, read “Longneck, A History of the 274th AFA BN” by Jack K. Morrison or “Payoff Artillery – WWII” by Frank H. Armstrong. Both these veterans give fascinating accounts of their service in these unique units.